Some real estate education professionals aren’t taking full advantage of technology and social media in their marketing efforts. If your a real estate school that still doesn’t have an online presence you’re missing out on opportunities to connect and interact with current and future students. Facebook is a big part of internet marketing and creating an online presence/community! Here are a few reasons you should think about creating a Facebook Page for your real estate school! 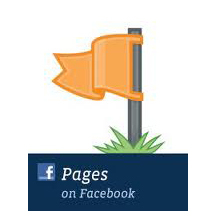 -Facebook Pages allow you to ‘update’ your students almost instantly about new classes, schedule changes, etc. -When someone ‘Likes’ your page, that information is published in their News Feed for all of their friends to see, this increases the likelihood of gaining new likes/exposure to consumers that otherwise may not have heard about you and your real estate school. -Pages offer access to Insights. Insights allow you to view the amount of response you receive to posts, the number of page views, fan (student) demographics, the amount of engagement that takes place in response to your posts, etc. -Pages offer the ability to add applications to the page – YouTube, contests, surveys, etc. -Pages offer your students the ability to easily leave reviews and feedback about your school, classes and instructors directly on your Page. This allows you to offer the highest level of service to your students. -Lastly, it’s free! Setting up a Page to promote your real estate business takes just a few minutes.